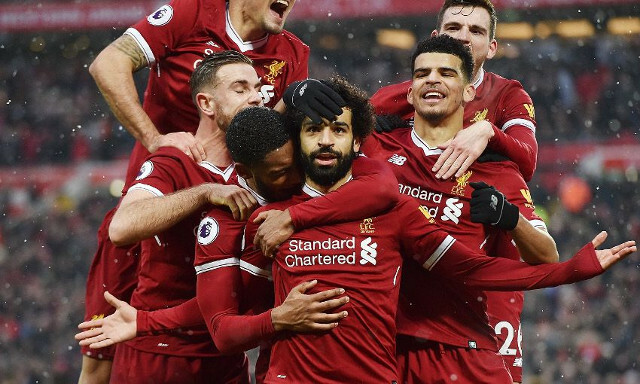 Steve McManaman admits he struggles to see Mohamed Salah’s hot-streak in front of goal easing off any time soon. The former Liverpool winger is confident the Reds’ summer-signing is capable of maintaining his prolific form throughout the rest of his career. Salah has already registered 28 goals in 34 appearances across all competitions for the Reds, as well as adding seven assists to his superb record since arriving from Roma. His emphatic start to life on Merseyside has buried doubts over his talent that had been fuelled by his unsuccessful stint with Chelsea in 2014. Two classy goals in last week’s 2-2 draw with Tottenham served as further evidence of the surge in confidence he has conjured since leaving Stamford Bridge. “He looks like he will score goals for a long time,” McManaman told Liverpoolfc.com. Salah’s impressive figures partially come down to how perfectly he has lodged into Jurgen Klopp’s setup and how quickly he has built an understanding with the likes of Roberto Firmino and Sadio Mane. The trio have been spearheaded the Reds’ counterattacking approach in devastating fashion at times this season, laying down a marker as one of Europe’s most enthralling offensive sides. Regardless of how Liverpool finish the season, Salah has been an undoubted revelation. If McManaman is proven correct, the Reds boast a great chance of sealing another top four finish in the Premier League.